I feel like my posts are getting farther and farther apart! There's just not enough hours in the day to get scrapping in regularly! Does anybody else feel like that? This particular picture was taken several years ago in Big Sur, California. It was incredibly dark with no surrounding light pollution since there was the ocean in front of us and mountains behind us. My husband set up his camera on a tripod and snapped this photo of us together. I searched through my paper collected and found the absolute perfect piece in Craft Smith's Summer Dream paper pad. This paper stack has some highly specialized papers and a lot of times they just aren't right for the page I'm working on, but when they are, it's magic! I love the bokeh sparkles that continue the starry theme. I used basic black cardstock to create an asymmetrical matte and then raided my scrap drawer for some pieces big enough to mat my 5 X 7 photo. 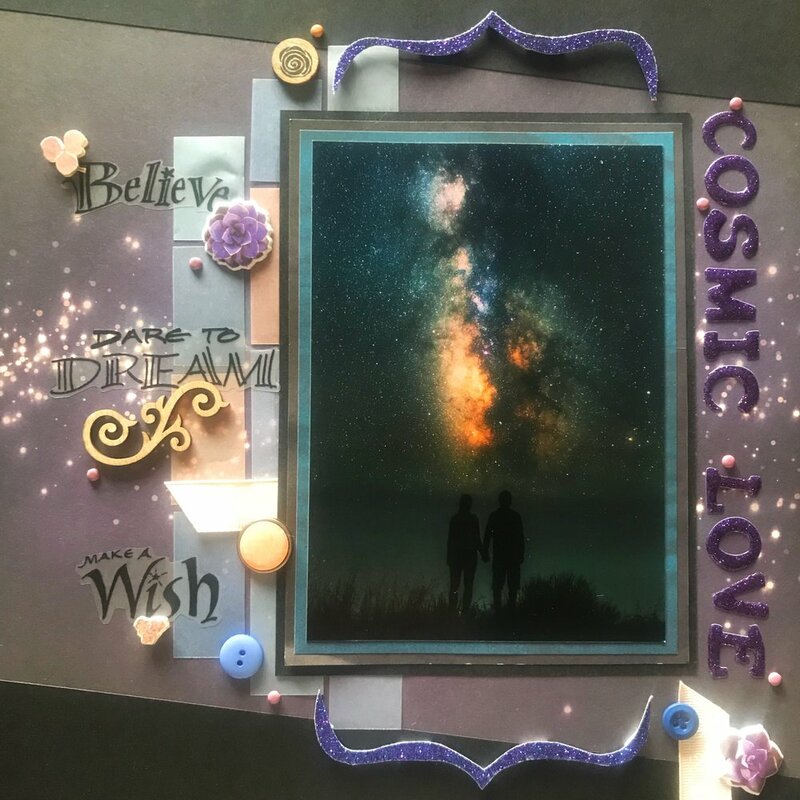 Some vellum scraps became the perfect embellishment and they really popped against the dark background. However, they presented the problem of how to adhere them since any adhesive used would be visible through the transparent paper. For the scraps not partially covered by the opaque photo, I used a variety of vellum stickers, brads buttons and other embellishments to tack them in place. I scattered a few more mauve brads around to tie the page together. 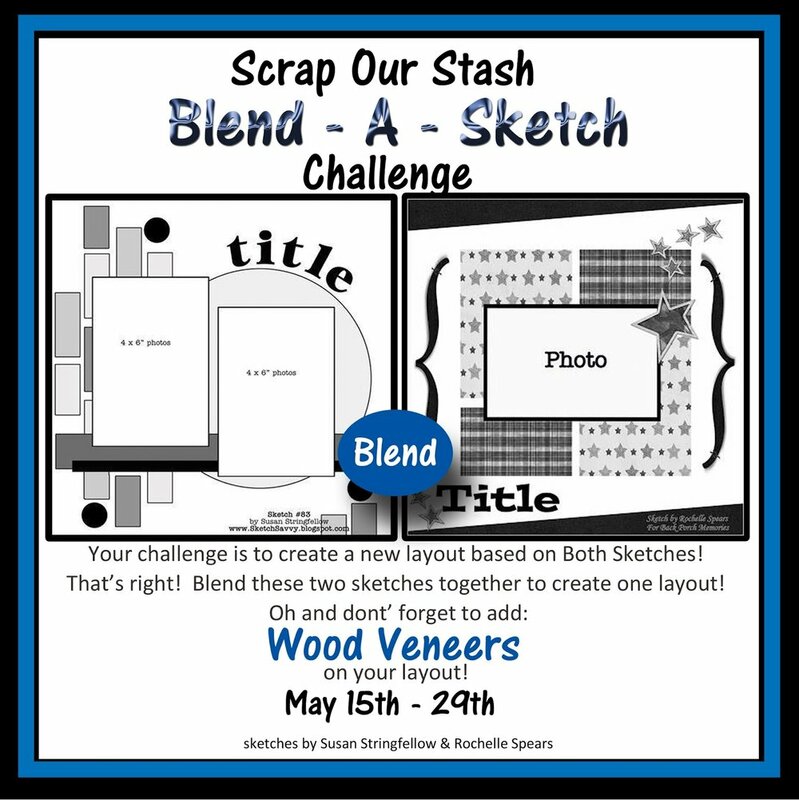 This page was created for the Scrap Our Stash May challenge. This was my first time creating a Blend-a-Sketch page but it was a lot of fun. I used the rectangular embellishments from one and the asymmetrical mats and parenthesis form the other. 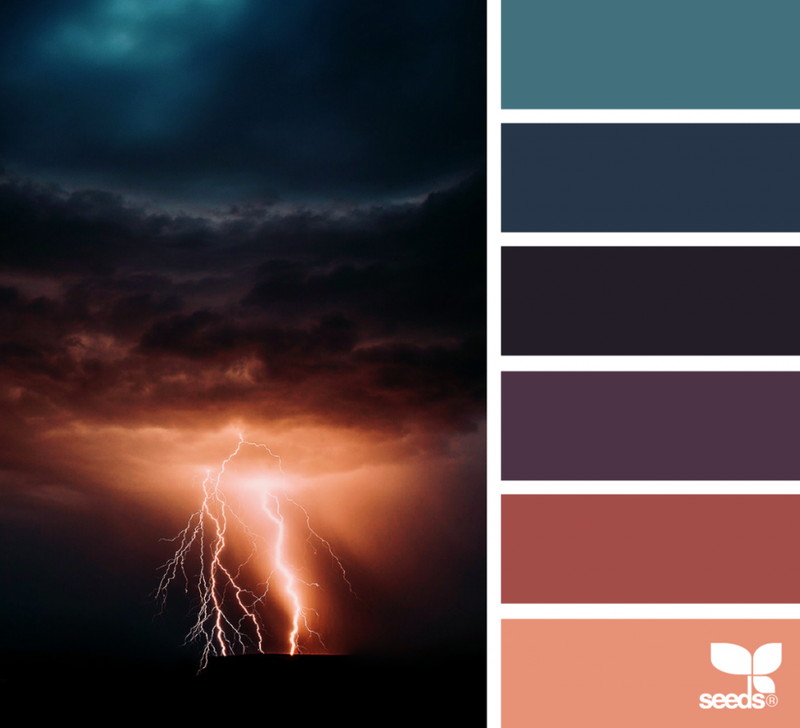 I often look for color palette inspiration on Design Seeds an this page was no exception. I like the combination of cool blues and purples and warm pinks that match tones in the Milky Way photo.